If your Instagram Business Account isn't showing up when you try to connect it to HubSpot, it's likely due to how your Instagram account is associated with your Facebook business page. This can be resolved by converting your Instagram account into a Business Profile from the Instagram app. 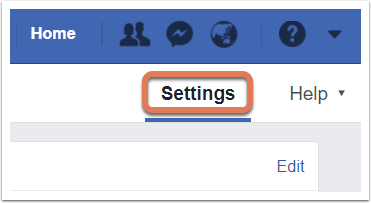 In your Facebook account, navigate to your Facebook page. In the upper right, click Settings. In the left sidebar menu, navigate to Instagram. In the Disconnect Instagram Account setting, click Disconnect. Log out of the Facebook app completely on your mobile device. Open the Instagram app on your mobile device. Navigate to your profile, then tap settings (iOS) or ⋮ (Android) in the top-right. Under Business Settings, tap Switch Back to Personal Account. Exit and close all instances of the Instagram app on your mobile device. Reopen the Instagram app and navigate to your profile, then tap settings (iOS) or ⋮ (Android) in the top-right. Tap Sign up for a Business Profile. Tap Convert Existing Account > Choose Page, then tap the correct Facebook Business page that you want to connect. Verify your business email address is correct, then tap Done. Revisit your Facebook page’s Instagram settings and ensure that the correct Instagram Business account is connected. Connect your Facebook and Instagram accounts to HubSpot. In the left sidebar menu, navigate to Marketing > Social. In the accounts table, hover over the Facebook page that is connected to the Instagram account, then click Disconnect. Navigate to your Facebook account. In the upper right, click the dropdown arrow downCarat and select Settings. In the left sidebar menu, navigate to Business Integrations. In the HubSpot integration box, select the checkbox and click Remove. In the dialog box, ensure the Also delete all posts, photos and videos on Facebook that HubSpot may have published on your behalf checkbox is not selected. Click Remove. This should ensure all necessary permissions are given to HubSpot to publish to Instagram. If your Instagram account still isn't showing up when you try to connect it, contact HubSpot Support. If you're unable to connect your Facebook page to HubSpot, refer to this article: Can't connect Facebook page to HubSpot.